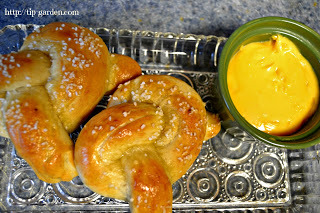 Making soft, hot, buttery pretzels or pretzel bites is easier than you think! If you are looking for a game worthy snack that will knock their socks off, then pulling piping hot fluffy pretzels from the oven is it! 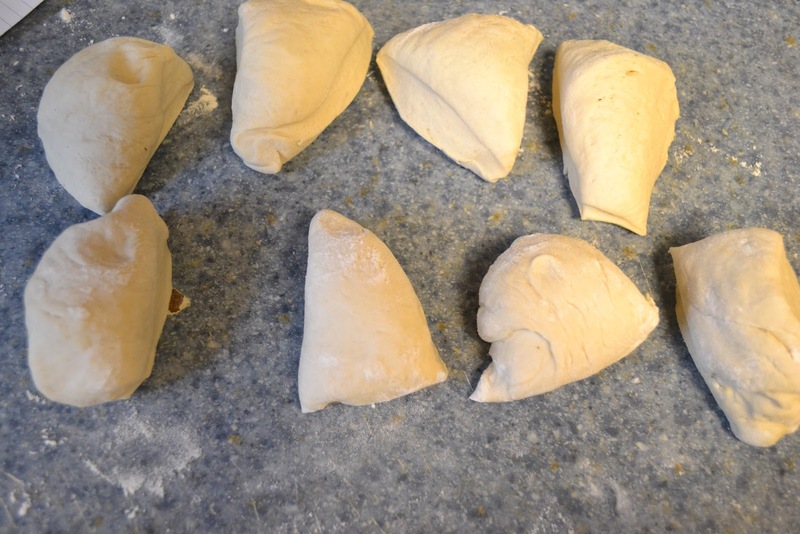 I made mine from a simple bread dough that anyone can make, but you can easily cheat with thawing a batch of frozen bread rolls dough (Like Rhodes brand). In making mine from scratch I made a batch of 8 pretzels in an hour from start to finish. 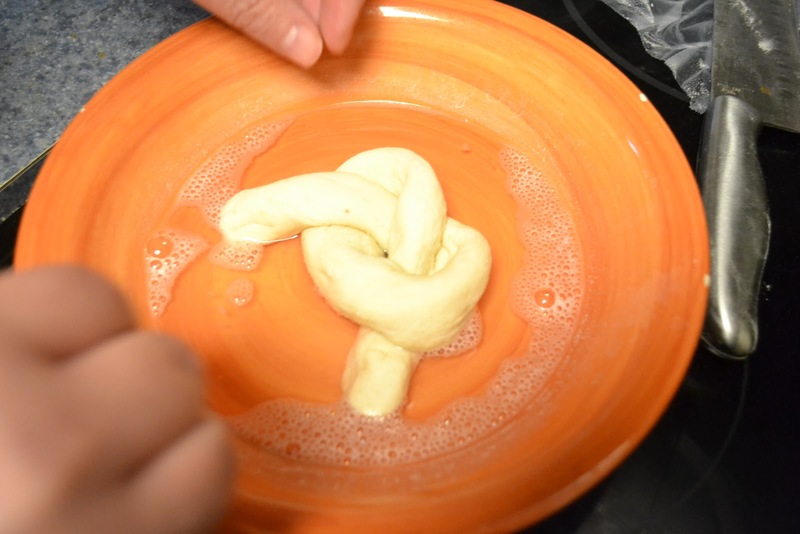 I'm demonstrated the big pretzels, but will include directions for the pretzel bites as well. 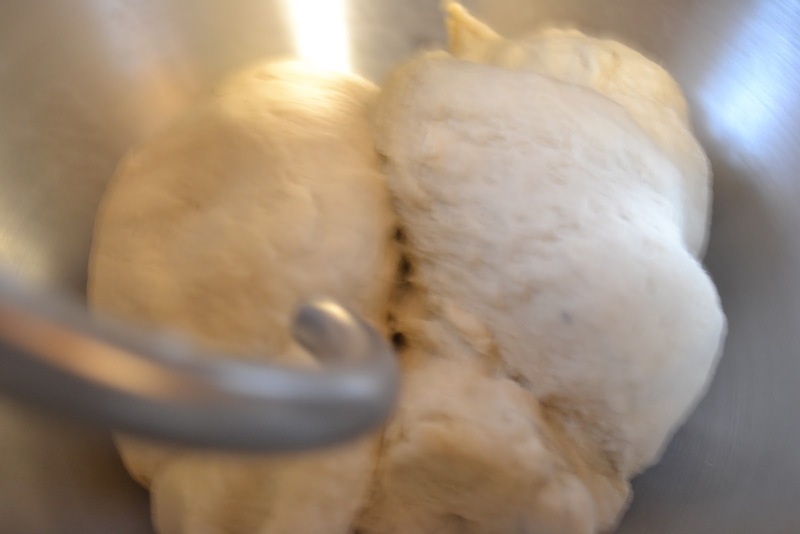 Jan's Tip: TO USE THAWED FROM FROZEN BREAD ROLL DOUGH : skip Step 1. Start with step #2. . Directions:Preheat oven to 450 degrees. 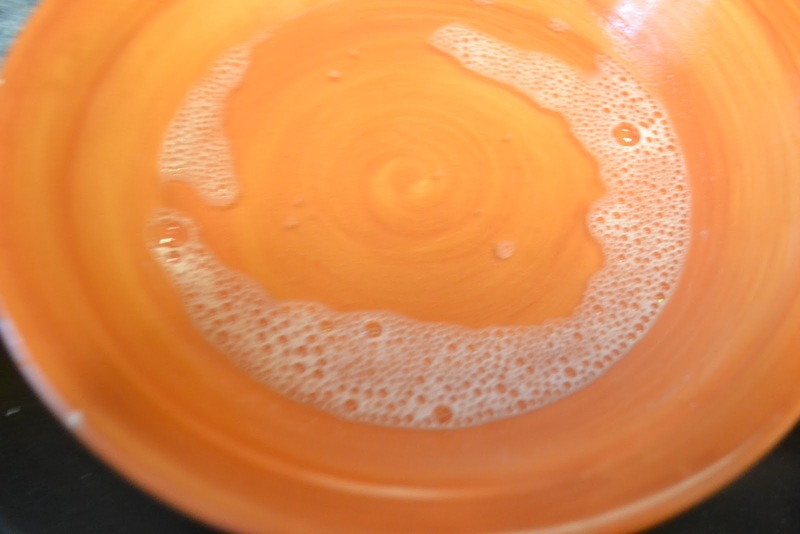 1) In mixing bowl (I used a kitchen aid for this recipe), add ingredients in this order: water, yeast, sugar. Mix with a spoon. Then add: flour and salt. 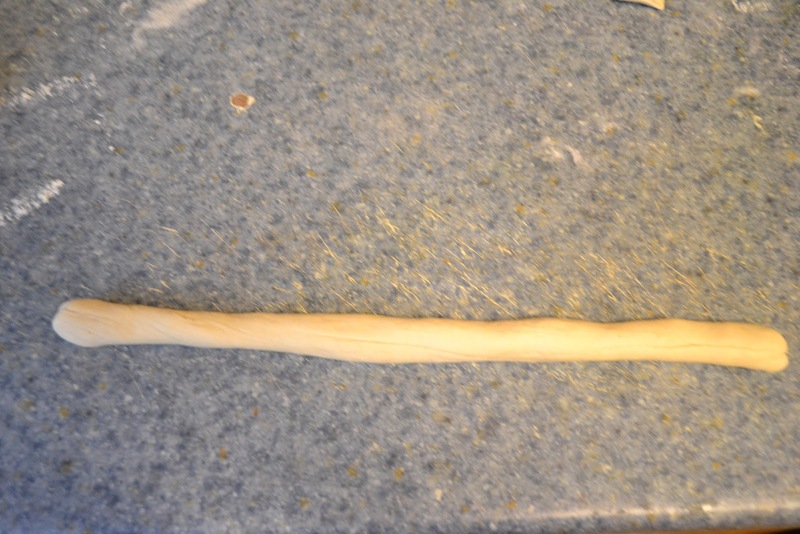 Mix by hand or mixer paddle for a minute or so and then switch to dough hook and knead on low setting for 5 minutes. 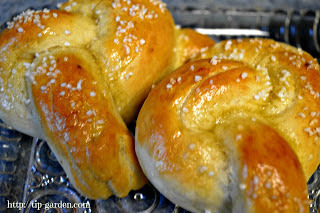 5)For Big Pretzel: Roll each piece into a long rope. 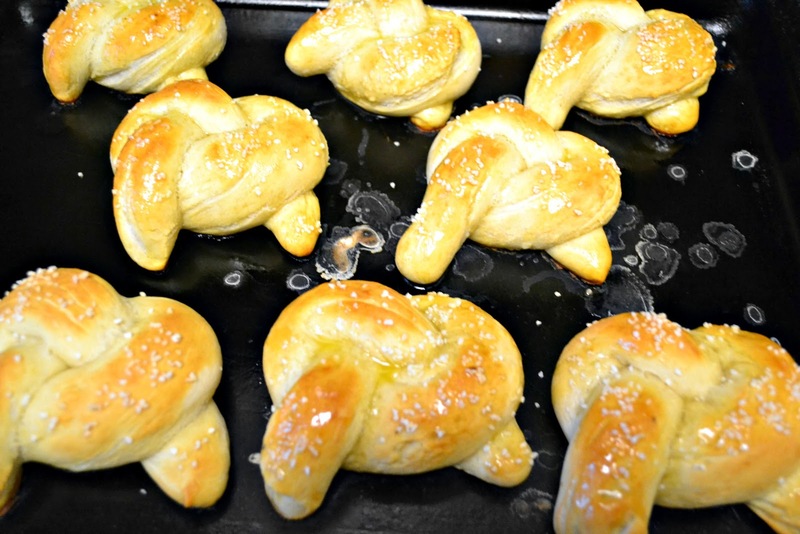 8) Place pretzels on lightly greased baking sheet and sprinkle with coarse salt (unless you are going to dip them in cinnamon sugar later). Let rise in warm spot for 10 minutes. 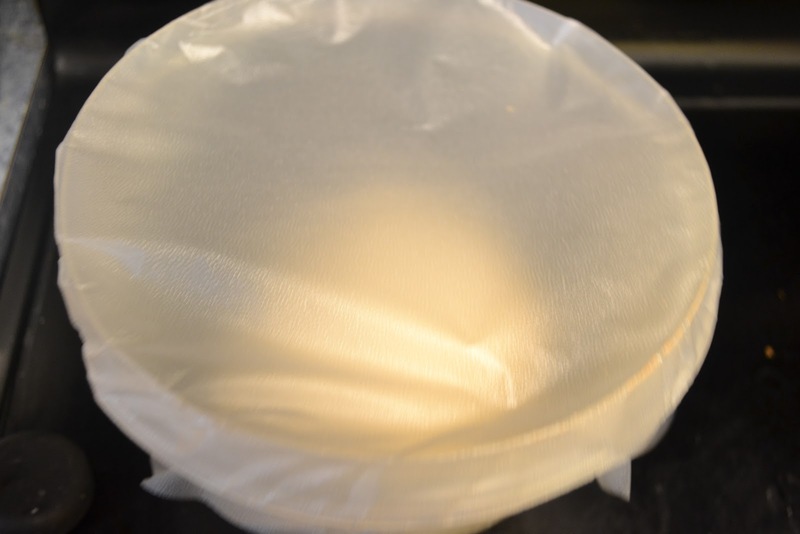 9) Bake 9-10 minutes till golden brown. Brush with melted butter as soon as they come out of the oven. 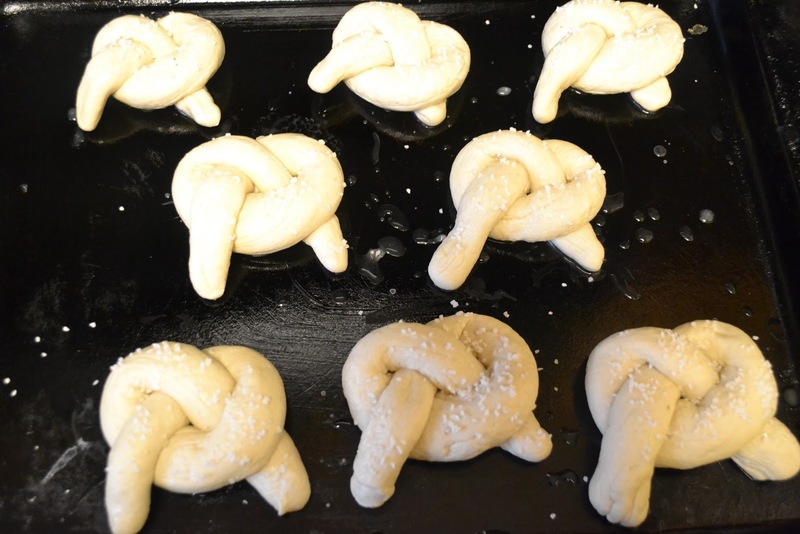 10) If wanting to make cinnamon/sugar ones, then toss the buttered hot pretzels in the cinnamon/sugar mixture now. Eat! I like to serve Nacho Cheese Sauce and Honey Mustard dipping sauces for football games.